Ascending Butterfly: Celebrating the #GreatestMom is Easy w/ Mother's Day Buying Guide Selections from @BestBuy + #TwitterParty! 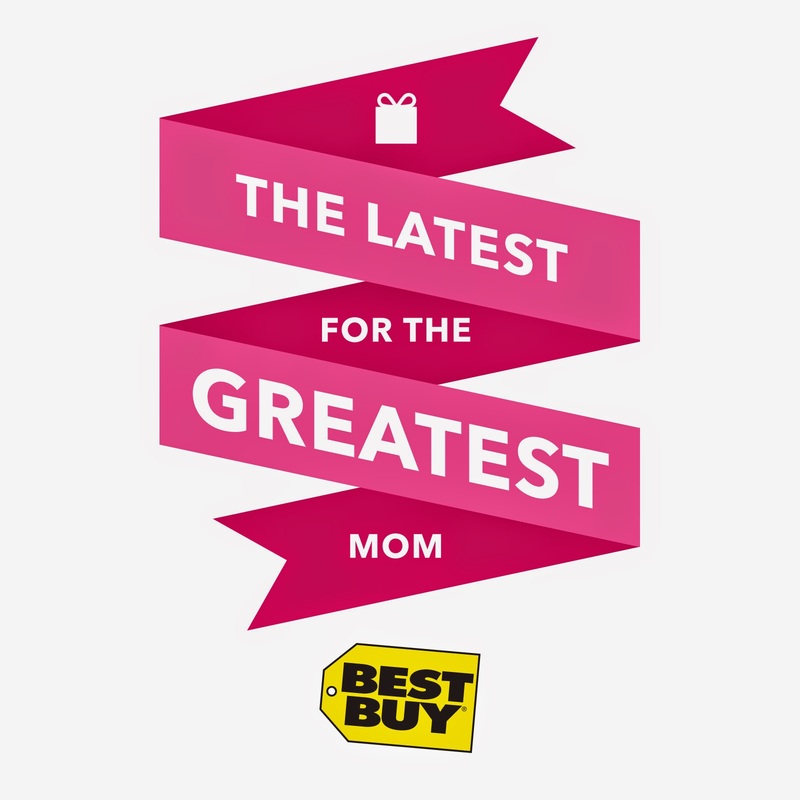 Celebrating the #GreatestMom is Easy w/ Mother's Day Buying Guide Selections from @BestBuy + #TwitterParty! Are you an On-The-Go-Mom? A juggler? Did you sign a new client, close several deals and still make it to soccer practice, the recital, or the school play without missing a beat? Kids today are tremendously 'over-scheduled', and you know what that means? MOM IS TOO! I am and always will be a Gadget/Tech Geek, don't let the Fashion and Beauty on these pages confuse you, When it comes to Electronics I always want the newest toy. What clothing stores were to my sisters, Electronics stores are to me. You can press on the image above to get a Samsung Galaxy S 5 for your Mom! Plantronics Voyager Edge Bluetooth Headset - Includes Charging Case with rechargeable battery, vehicle charger, micro USB cable, S, M and Large silicone ear tips and a clip on ear loop! Studio C - Hide N Chic Expandable Laptop Tote Bag - Black - This is so New York Mom! I'm sure my Mama Butterfly would love to tote her tech in this HAUTE number! Yes Please! Quickly and easily recharge your cell phone, tablet or gaming device with the Mophie Juice Pack Powerstation Duo 38765BBR battery which features up to 6000 mAh capacity to keep your devices powered and ready for use. Samsung Gear 2 Smart Watch with Heart Rate Monitor Gold/Brown Metallic - The Bluetooth interface lets you compatibility sync data with your Samsung Phone or Tablet and helps you monitor your fitness progress too! But Wait There's MORE! A TWITTER PARTY!!!! Best Buy is sending Ascending Butterfly to the Mom 2.0 Summit in Atlanta this week, and I will be sharing everything I learn with my butterflies of course, but I will also be co-hosting this twitter party! So please be sure to tweet me a hello and let me know you are on! Want to know what you can WIN? I am always on the go, and having the right tools for the job is crucial for me. It's always driven me nuts that the only time people feature tech buying gift guide recommendations is for Dads or Graduates, Moms need and use technology too! Thankfully Best Buy has a little something for everyone! Don't tell them you heard it here, but a little birdie told me this upcoming twitter party is NOT the only one, so stay tuned butterflies! Ƹ̵̡Ӝ̵̨̄Ʒ - There is FREE SHIPPING with qualified purchases! Ƹ̵̡Ӝ̵̨̄Ʒ - COUPON ALERT: 20% off Misfit Shine Products, enter code MOMSHINE20 at Checkout! 20% off Misfit Shine Products, enter code MOMSHINE20 at Checkout! What Best Buy Gift are you getting your mom for Mother's Day? FTC Disclosure: I am a Best Buy Brand Ambassador. This allows me to share information, sales, product reviews and deals on a regular basis! This is NOT a compensated post, I have not been compensated to share this event recap. All opinions are 100% my own. I am disclosing this in accordance with the Federal Trade Commission 16 CFR, Part 255 - Guides Concerning the use of endorsements and testimonials in advertising, you may visit our full giveaway and disclosure page for complete policy information. This post contains affiliate links. Best buy has lots of choices not just for mothers day but for my upcoming grads ( oh yes I saw a few goodies for myself !! ) So I'll be coming buy to say hey at the twitter party . @Big Happy Buddha - So glad you can join us for the twitter party! There will be an upcoming posts for both Dads and Grads too, so stay tuned! The laptop tote looks like a wonderful gift idea! I hope the Twitter party goes really well, and I also hope to see you at Mom 2.0! @Liz Mays - I can't get enough Tech and it's always a challenge finding a bag that holds it all that's for sure! I will definitely see you at Mom 2.0! Are you going to the Spring Garden Party Thursday? I will see you there! Lots of great products. Will make wonderful gifts. @debdenny - I would love them all, but then again I can't get enough tech! Gadget Geek for life! ohhhhhhhhhhhh these all sound like awesome gadgets! Love the expandable laptop bag! @Mama to 5 - Looks like everyone is digging the bag so far. It's always a challenge to find something that fits all of your tech! That cell phone charger will be perfect for mami. @Yadira Ambert - While I don't own the Mophie I do have a portable charger that I always carry with me and it's a total lifesaver! @Bohemian Babushka - Same here, gotta stay connected! Glad you can join in on the #GreatestMom Twitter Party! It's going to be a tweety fiesta!